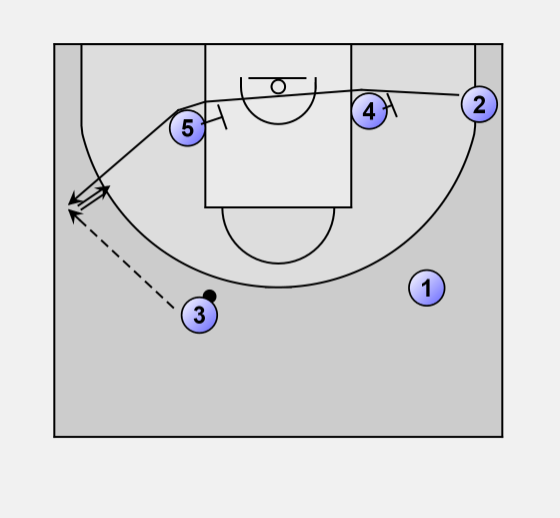 #2 Side, down screen followed by stagger and pick &roll. Start with a down screen of 5 on 3, followed by a pass from 1 to 3. 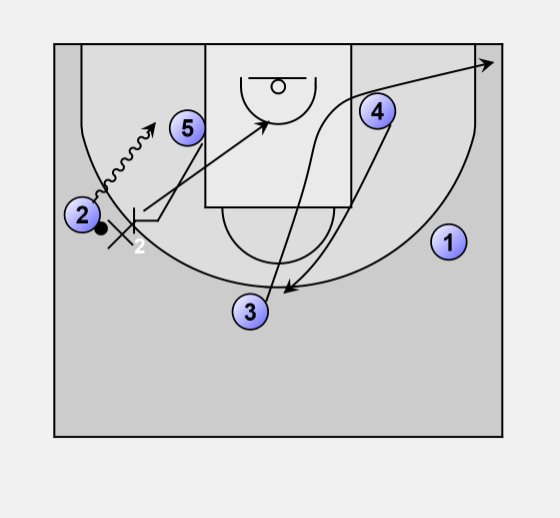 Baseline staggered screen for 2. 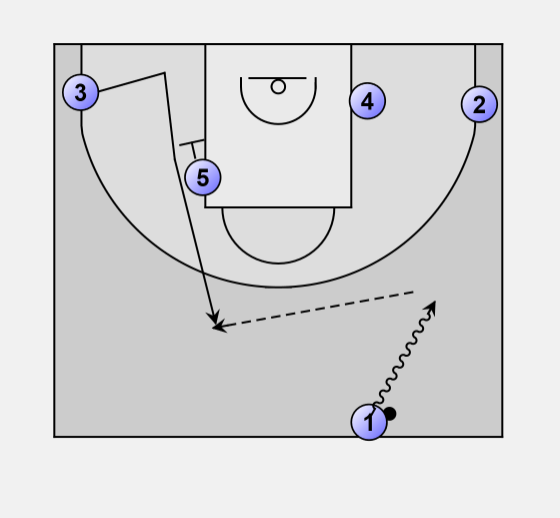 No 3-point shot for 2 then side pick & roll between 5 and 2. 3 cuts after the pass, 4 comes up.